FOE has curated a group show paying homage to monsters. The idea of monsters is as old as civilization and what society defines as monstrous changes and morphs through time and culture. Depending on when and where you grew up, it’s likely some version of monster, urban myth or story shaped your fears and nightmares. No one escapes this rite of passage. Come out to see how 20 different artists from westernmass to Japan interpret their own unique fears, repulsions and pleasures. It may sound scary, but monsters are fun too, and fears confronted (or exercised) are fears conquered. Pieces from the show available for sale on FOE's website. Cheers to my buddy OsirisOrion for this video and general awesomeness. Well, they're gone, even before they got here. 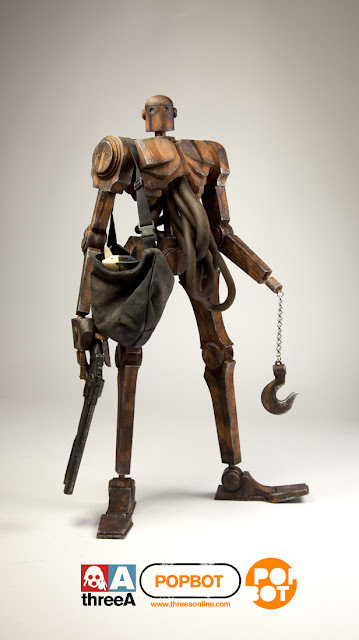 If ya haven't preordered your Armstrong Mod 7 figures from us yet, you missed out! We currently have ONE lonely preorder left for Armstrong Gerry, and a few left each for Floyd and Monet. Don't sleep, folks! If you haven't jumped on the 3A bandwagon yet, you're missing out on the best value for the money in designer toys today: 9 inches of highly articulated, highly detailed vinyl robot mayhem for only $45. Some perspective: an 8" Dunny is $80. An 8" Qee is $65 to $70. And these 9" Armstrongs are only $45. 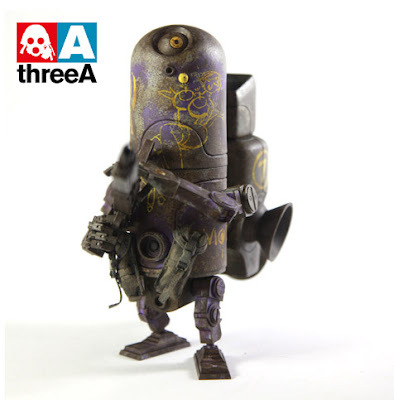 We've got a few other assorted ThreeA toys in stock as well, so click here to see everything in one spot. Smash Tokyo Toys has revealed their design for the Atomic Bear Tank Mini Qee. 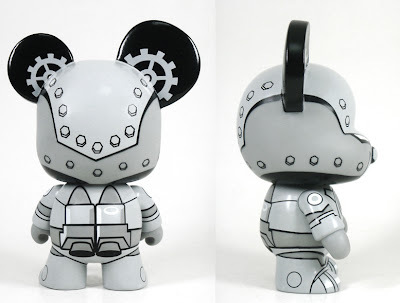 This awesome 5" Qee is produced by Toy2R and I think it'll be released at SDCC. 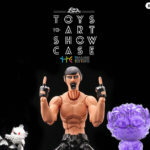 Not too much info currently available, but we love Toy2R as well as Smash Tokyo Toys, so we think this is a killer piece. Will share more info as it becomes available. 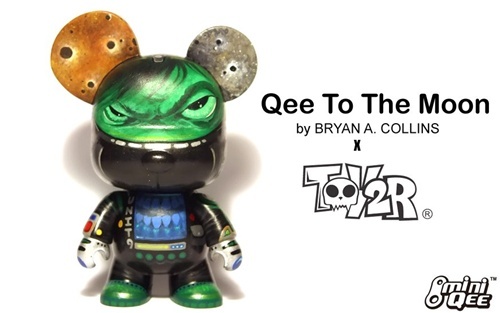 We have this sweet 5" custom Mini Qee Bear by Bryan A. Collins titled "Qee to the Moon"- see more pics and purchase the piece here. 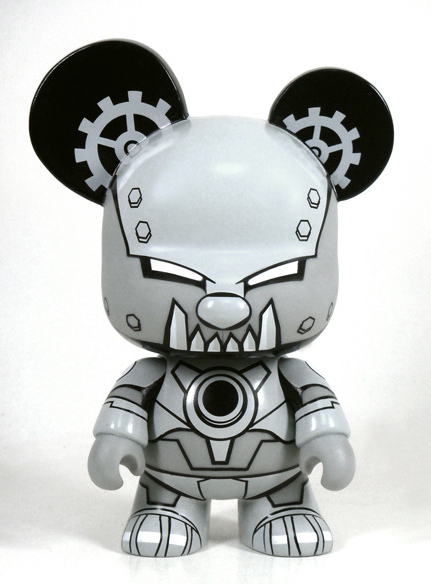 We've also got a full, thematic custom series coming soon from Bryan- he's working on it right now! Look for more news on that here on this blog. You can follow Bryan on his website, Twitter and Facebook, and you can purchase his book here. Edition of 25 silkscreen 2-color prints each hand painted with a different heavenly constellation. The series is titled "The Constellation Rabbits" and is based upon the FOLLOW RABBIT created originally as a fine art painting by David Foox and in celebration of 2011, The Year of the Rabbit. Click here to FOLLOW along... click here to buy.